The second show of Women's Fashion Week 2011 is Christophe Josse who recently joins the Chambre Syndicale de la Haute Couture in January 2011. He has worked under major fashion houses for 15 years and in 2005 he created a collection under his name, in both couture and ready to wear. 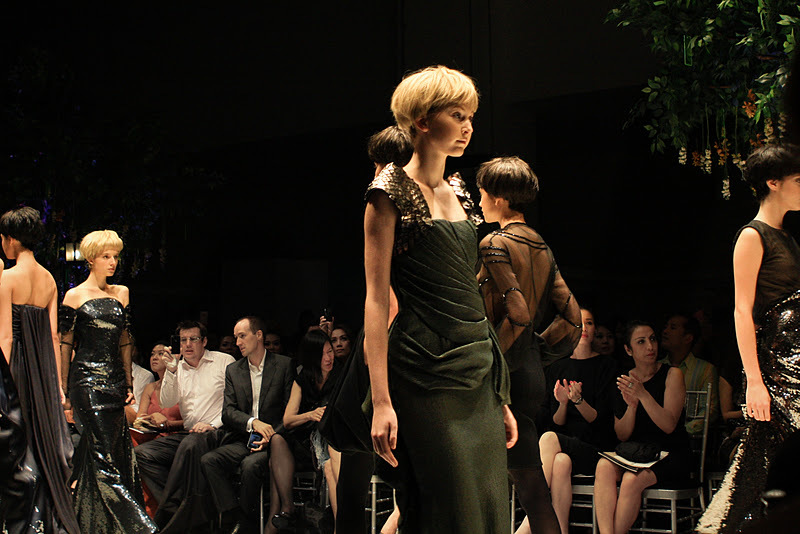 What is presented that night is his most recent 2011 fall winter couture collection. Models walked down the runway with blonde bob hairstyle, giving the 60's chic short hairstyle look. He explored various range of fabric materials from satin to high quality muslin and organza, wool, mixed with tweed and embroidery, sequins details, also some metallic fabric. As what we can see, his creations screams for romantic, sensual, and delicate silhouette anchored in modernity. I would name him as my dream wedding dress maker since I love pieces that is simple, but has gorgeous details. It is grand but not too loud. The dresses are fabulous! My favorites are the first three! I love these dresses. SO PRETTY! Fabulous! I love how rich with amazing details. Very nice pictures and style. Do you like to follow each other? wow these pieces are gorgeously covetable! The collection is very tastefully done and sophisticated. I can see myself wearing the dresses. That is if I lead a more glamorous lifestyle. Beautiful pieces! So inspired! Thank you for sharing! The dresses are amazing babe! 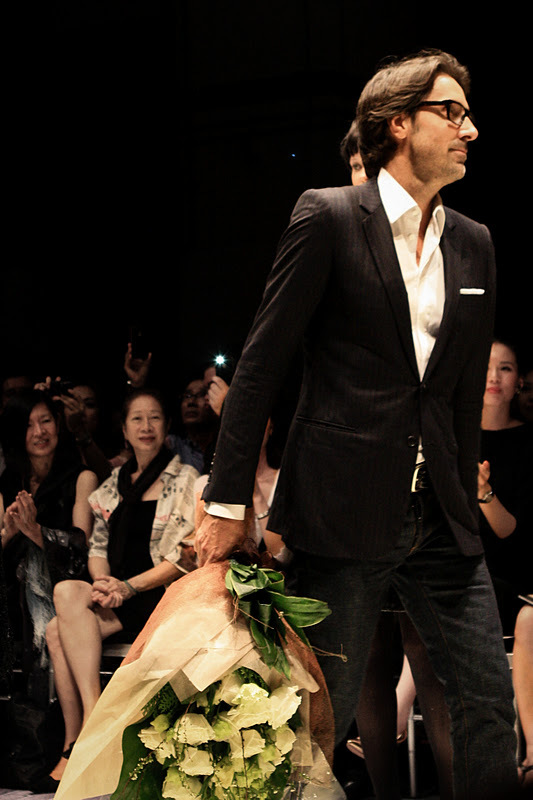 Jakarta Fashion Week is happening now, maybe you can report it to your blog. Hehehe. Thanks to your comment! Beeeautiful dresses:D Lovely. amazing designs I like your blog! I am your new follower via google friend connect hope you can follow me too so we can keep in touch,have a great day! love all those designs! adorable and classy! my favorite is the first pic! lovely lace dress! thank's for your lovely comment,, dear..
wanna follow each ohter dear?? hi fhenny! long time no see.. how are you? hope ur doin fine there ! some of these dresses are gorgeous!!! !